Even though 2014 is only a month old, it’s already become clear that this year will feature many large scale malware attacks on smartphones and mobile devices. 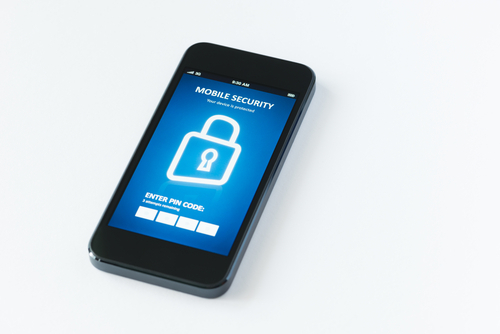 Mobile security has been a focus for many this year because of the growing number of attacks being seen and the malware being produced specifically for the mobile audience. At SC Magazine, Adam Greenberg reports on the latest mobile malware threat that has already infected more than 350-thousand devices. The malware targets Android devices and has been spotted in China, Spain, Brazil, Germany and the United States. Known as Android.Oldboot.1.origin, the malware operates as a bootkit and is difficult to remove. The malware is designed to download and install new applications to your device, or even remove existing applications. This allows for additional malicious applications to be added and security apps to be removed. The particularly noteworthy characteristic of this malware is how resilient it is. During the initial infection, the malware, which is categorized as a trojan, is extracted when the device is turned on. This makes it more difficult to detect than other malware that attempt extraction while the device is in operation. That also allows it to continue to infect a device even when most traces of the trojan have been removed. As long as part of the malware remains in the device’s memory, it is reinstalled and extracted every time the device is rebooted. This particular threat seems to follow a more complicated infection method that involves reflashing a device with new firmware. Staying safe from most mobile malware, however, stems from being extremely cautious of what you download to your device and what links you follow. 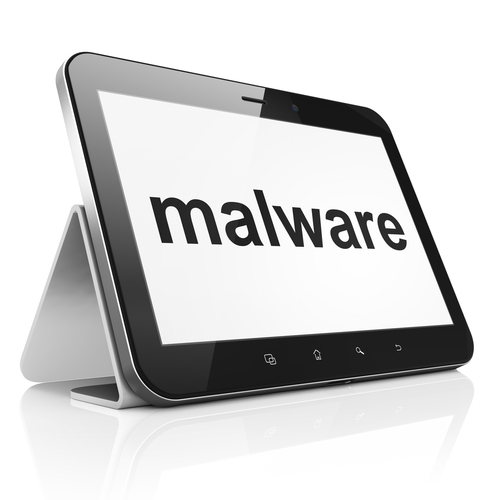 If any of your devices are suffering from a malware infection, come by Geek Rescue or call us at 918-369-4335. 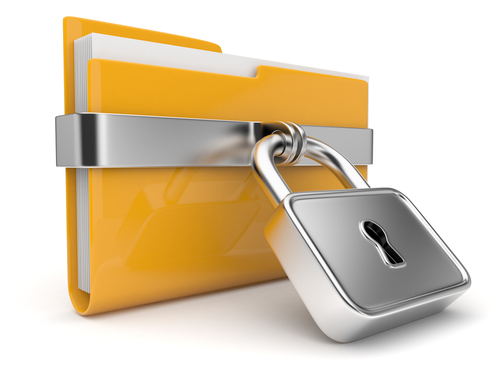 Planning is a key step to effective data security for your business. If you know how you’re likely to be attacked, you’ll know how to best protect yourself. At PC World, Tony Bradley published a list of security threats he expects to be common throughout 2014. The time when you could consider your smartphone immune from the dangers of malware has passed. With a large percentage of the population not only using mobile devices, but using them to access critical data, criminals have begun heavily targeting them with mobile-specific malware. And infection can stem from a number of places. Email, malicious links and text messaging are all popular modes of malware infection, but even connecting to an infected computer via USB has been the root of infection in some attacks. You’ve likely seen this buzzword in the media and it refers to the growing number 0f items with internet capabilities. Your refrigerator, car, home security system, baby monitor and many other common items can now be online and controlled remotely. While this may present a convenience for you, it also poses a security risk as hackers may also be able to gain control of your things. We’ve already seen a refrigerator used as part of a botnet. Be aware that if an item in your home or business can connect to the internet, it can be hacked. Patches and security updates for this operating system will be discontinued by Microsoft this April. While Microsoft Security Essentials will receive support until the summer of 2015, this still presents a significant security issue. A large portion of the world’s desktop computers, particularly in offices, are still running XP. Worse is that kiosks and other embedded devices also run off of XP. When Microsoft stops supporting their old operating system, developers will also likely stop releasing updates for their XP applications. This leaves users in a frozen state where known exploits won’t be fixed. Some security experts are forecasting that hackers will wait until support stops and then launch all out attacks on XP systems. Due to the success of attacks, like those on Target and Nieman Marcus, expect large scale data breaches to continue. Cyber criminals understand how valuable data can be and are willing to launch intelligent attacks to steal it. Staying protected requires planning, putting proper security tools in place and being smart about what you download and who you allow on your network. For help improving the security at your company or on your home PC, call Geek Rescue at 918-369-4335. The threat of Cryptolocker style malware has been around for months, but evolving threats continue to emerge. Copycats and other forms of ransomware are being churned out due to the ease of production and the immediate benefits. As Ken Westin reports for State of Security, the latest variant of Cryptolocker is being spread through Yahoo messenger. The malware was first spotted in Asia where it victimized a number of financial institutions. The nature of this ransomware allows it to spread quickly, however. 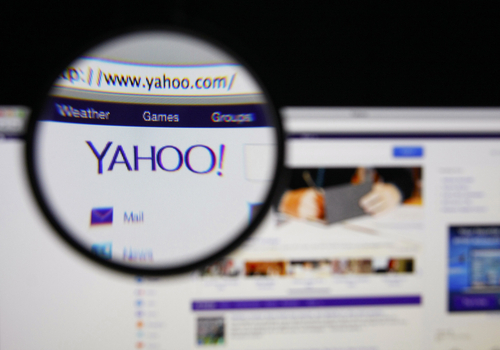 Much like a malicious email that infects one computer, then emails itself to every contact in a user’s address book, this malware infects a computer and then sends a malicious file to contacts through Yahoo messenger. First, you receive a message from a contact on Messenger. It appears to be an image file called “YOURS.JPG” but the actual extension is .exe. With some clever social engineering, users are coaxed to download and open the file. Once opened, the malware goes to work adding files to your system and injecting code into memory. Eventually, the malware begins encrypting files and locking down your computer. Users are presented an alert that their files are encrypted and given a ransom note that demands payment to unlock their computer. New encryption keys are used in each attack, making decryption particularly difficult, if not impossible. While you deal with the encryption of your files, the malware spreads itself to new victims by sending the malicious file to your contacts. As with other forms of ransomware, the best protection is to avoid infection. Even trusted contacts can send you malicious files. Even if you’re expecting a file to be sent to you over email or instant messaging, be sure to check it thoroughly before opening. If your computer is infected with any type of malware, contact Geek Rescue at 918-369-4335. Since every company is so reliant on technology, it’s extremely important to have a reliable, efficient IT department behind you. Some business owners aren’t sure how to judge their IT team performance, however. At the Cup of Joe blog, Joe Stangarone published some common traits of effective IT departments so you’ll know what to expect from yours. It sounds simplistic, but the role of IT and their goals have to be clearly defined if they’re to be successful. To define their role, you must communicate with them to educate them on what’s needed and discover what’s possible. Above everything else, you need to define what success is for them and understand how they’ll attain it. Once they know what direction they’re moving in, IT should be measuring their success and trying to improve. There are a number of metrics available, but truly effective IT departments will forego so called “vanity metrics” and instead track metrics that help them improve their performance. These are a measure of statistics that have a direct cause and effect on the team’s effectiveness. A common problem of IT departments is that they are overloaded with help tickets and putting out fires. Taking this reactive approach means your IT is limited to a help desk, rather than a problem solving department. Instead of constantly having to solve similar problems over and over, these problems need to be solved on a deeper level so that users stop encountering them. Then, IT can concentrate more time on improving their infrastructure and the overall efficiency of the business. Similarly, the goal of effective IT departments involves creating self-sufficient users. To do this, IT must not be “gatekeepers”, but rather give users access to all of the tools and applications they need to perform their duties. This benefits them as they’ll spend less time helping users solve common problems and also will encourage fewer users to go around IT when implementing a new device or new software. These traits make an IT department more focused, more effective and more efficient. To obtain a department that runs on this scale requires an investment, however. If your company needs the benefits of an IT department without the investment in salaries, contact Geek Rescue. We offer a variety of services that make us your on-call IT department. Previously, we outlined three security vulnerabilities that exist on your iPhone. With malware and hackers targeting iPhones more than ever, you not only need to know where you are vulnerable, but also how to protect your device. Steve Bell of Bullguard has a list of tactics and apps that will improve the security of your iPhone. This isn’t technically an app, although there is one available. Find My iPhone is well-known, but it’s an indispensable tool. To activate it, go to your iPhone’s settings, then select ‘iCloud’ and check the ‘Find My iPhone’ option. Then, if your phone is lost, you’ll be able to log-in to iTunes and see its current location, display a message on its screen, play a sound, lock it or wipe it clean. The Find My iPhone app lets allows you to find other iOS devices from your iPhone. Also, consider using GadgetTrak, which offers similar features to Find My iPhone but will also use your phone’s camera to take a picture of its surroundings or its thief. There are a large number of iPhone users that don’t lock their phones with any type of passcode. While locking your phone doesn’t provide robust security, an unlocked phone is a much more attractive target for criminals. Set a passcode by going to the general settings menu and selecting ‘Passcode Lock’. It’s also important to make sure that no one can use Siri unless your iPhone is unlocked. This is a slight security vulnerability that can be fixed by turning your phone on to the passcode screen and sliding the Siri slider to off. 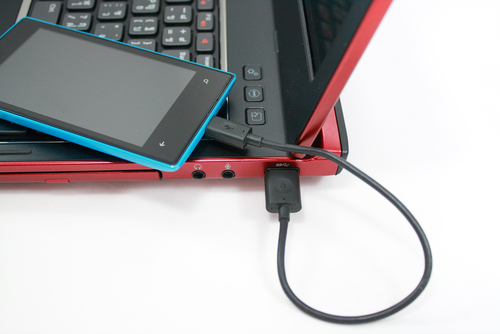 Using your computer to back-up data is a great idea in case your phone is lost or stolen or data is corrupted. But, storing it unencrypted makes it easy for hackers to steal it if they gain access to your computer. Make sure when you sync your iPhone or iPod to your computer with iTunes, you encrypt the data you back-up. If you regularly connect to public WiFi and want to be able to log-in to online accounts or shop online with your phone, you need this app. A VPN encrypts the data you transmit while connected to a wireless network so it can’t be intercepted and stolen. Hotspot Shield also protects you from spam, phishing and malware. 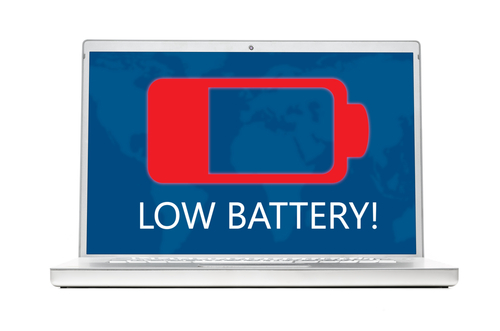 Using a unsecured network is a common way your identity is stolen or device infected. Using a VPN is a great way to protect yourself. 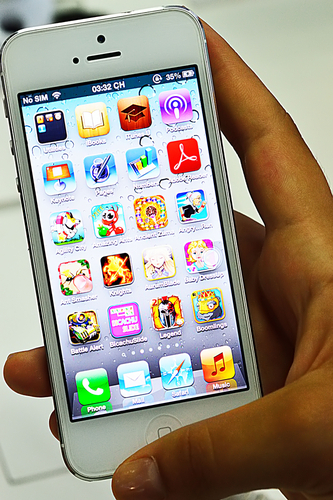 Sometimes, the best defense against cyber crime is to be smart about how you use your iPhone. Don’t download apps outside the official app store, don’t download email attachments and don’t enter personal information over an unsecured network. Avoiding the cause of issues helps you stay safe. If any of your devices are having issues, like slow performance or malware infection, come by Geek Rescue or call us at 918-369-4335. Recently, we’ve concentrated on the various threats associated with Android devices and their users. 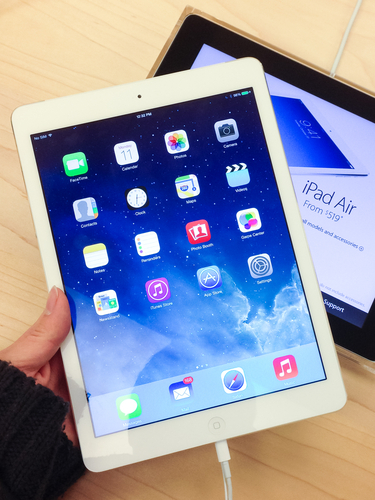 But there are security threats for Apple device users to concern themselves with also. 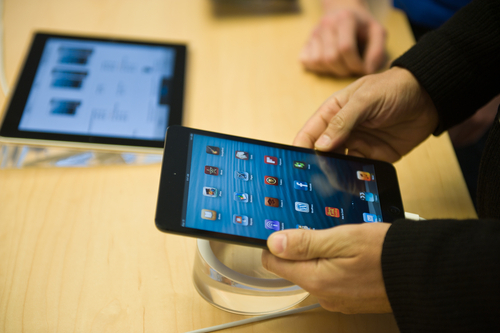 With more than 300-million active iPhones in use today, Apple products make an attractive target for cyber criminals. At the Bullguard blog, Steve Bell revealed three of the most troubling security vulnerabilities associated with iPhones. These vulnerabilities come from studies focusing on banking apps specifically, but also suggest other potential security flaws in other downloaded apps. In order to secure connections between a web server and a browser, SSL certificates are used. These are small data files that contain a cryptographic key protecting the information being transmitted. This presents man in the middle attacks because if the data is intercepted without the proper key, it will remain encrypted. About 40-percent of the banking apps examined failed to validate the authenticity of SSL certificates used during transactions. That means any criminal who is able to intercept the data being transferred would be able to steal it and read it. Considering what type of valuable information you would commonly transmit using a banking app, that’s extremely troubling. Many apps contain links that take users out of the app and onto the open web. These links can cause problems of their own if not properly implemented. In this study, nine out of ten of the banking apps contained non-SSL links to otherwise legitimate and trusted websites. Without the protection of encryption, however, these links are incredibly vulnerable to attacks. Data transmitted after following those links could be intercepted and criminals could even reroute users to a spoofed site in order to steal log-in credentials. Apple’s iOS is considered a well-crafted, essentially secure environment, but vulnerabilities still exist with the introduction of apps. Though these apps may be found in the official App Store, they can still contain flaws that compromise your entire iPhone’s security. If your having issues with your iPhone, or any of your devices, bring them to Geek Rescue or call us at 918-369-4335.